"I was very happy with the treatment I received from the beginning to the end. Every employee I dealt with was kind and..."
I was very happy with the treatment I received from the beginning to the end. Every employee I dealt with was kind and professional. During this difficult time, I felt like they were in command of the situation and started me on the path to recovery. They dealt with my insurance company and my bank so I didn't have to. My home looks better than before! "Excellent restoration of our century home. The mitigation crew to the reconstruction crew was all top notch." Excellent restoration of our century home. The mitigation crew to the reconstruction crew was all top notch. "Very good job under tight schedule." Very good job under tight schedule. The two gentlemen who came to our house were polite, professional, and respected our home and privacy. Although the noise created by the equipment was very distracting, the job done was excellent. Thank you, Greg. We really appreciate all you did for us. It was a pleasure to work with your company, the office girl was so pleasant and you, Greg, kept on top of things and got the job started on time and finished on time. And we couldn't be happier with the results. We love the roof, and the crew was very pleased and accommodating. The inside work was done beautifully, the workmen were nice and neat and they finished the job terrifically, and there was no sloppiness. Thank you very much for the excellent work. I appreciate the wonderful work and care and how very nice the workmen were. Excellent! They were on time and very reliable, courteous, dependable, cordial, and helpful. Dependable, friendly workers. Great personalities that brought me comfort in the midst of a trying time. Greg started his career in Disaster Restoration at the age of 12 carrying shingles and performing Fire Damage restoration for his father’s Restoration company. 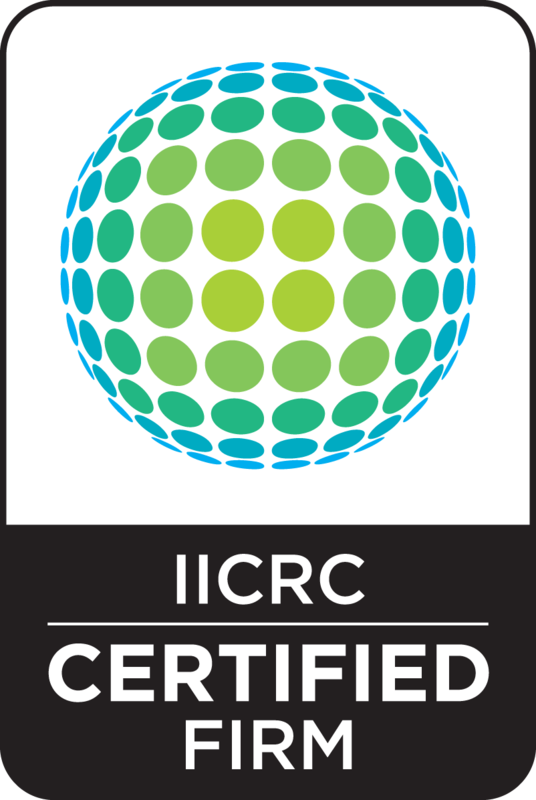 He holds IICRC certified in Water Mitigation, Applied Structural Drying, Odor Control, Fire Mitigation, Commercial Large Loss Drying and Carpet Cleaning. His particular interest is in Large Loss Drying and Restoration. He genuinely loves to help people. He enjoys spending time with our clients and appreciates that he gets to meet so many people that he would not have had the opportunity to meet otherwise. Greg’s relentless energy, passion for our business and vision for the future of our company make him the driving force of ServiceMaster by Disaster Recon. In his free time, Greg enjoys spending time with his fiance', Jessie. He also likes to work out, play guitar, ride his bike and play with his crazy Golden Doodle, Ellie. Greg has a positive, outgoing personality and his quick wit provides entertainment to the team throughout the workday. Flooding in 3 stories of a school in Cleveland Heights caused severe damage. Our mitigation and large loss crews were dispatched and restored order and peace of mind for this district.